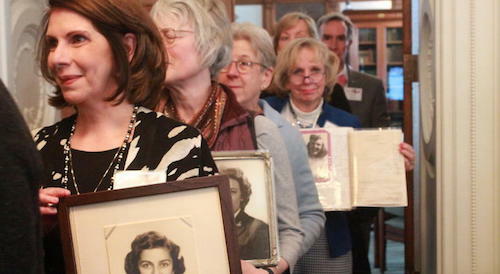 In a 25 March 2019 article for ConnectingVets.com - Kaylah Jackson writes about the incredible reunion in Washington, DC of the women code breakers of World War II - many of whom were featured in Liza Mundy's bestseller - Code Girls. Five of the women code breakers and their families were honored by the Veterans History Project at a ceremony at the Library of Congress. Read the full article at ConnectingVets.com.